With three Eurovision victories, Norway is on track with fellow Scandinavian neighbour Denmark, although both countries are three behind Sweden. 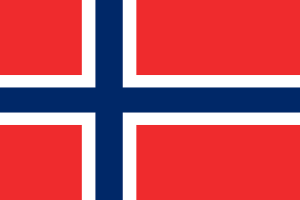 Norway first won in 1985, the year after Sweden’s second win. Bobbysocks’ La Det Swinge has since become a classic hit, which most fans can sing a long to. Ten years later, Secret Garden gave Norway their second win with the song Nocturne, which only contained 24 words, and the rest was instrumental, mainly violin. In 2009, Norway would once again bring the violin to Eurovision – and win by no other than Rybak. Since the last Norwegian victory, by Alexander Rybak in 2009, Norway have scored rather decent in Eurovision. Stella Mwangi (2011) and Agnete (2016) both failed to reach the final, but of the remaining six entries that did make it, four of them ended in top 10.